Welcome to Mark's Pinball Page! 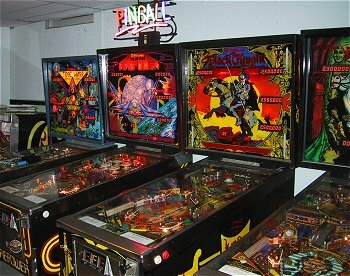 I've put this site together to chronicle my interest in the home collecting of pinball machines. There is a lot of information and photos of the games in my collection. Just click on a link in My Pinball Collection for the game pages. PLEASE NOTE THAT I NO LONGER SELL THE WILLIAMS TEST CHIP. Selling a pinball machine? 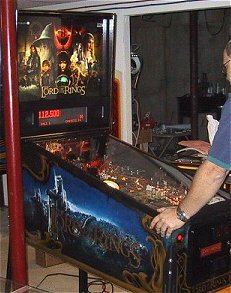 - I receive numerous emails from folks who want to know what the value of their pinball machine is and how to sell it. If your machine is an older machine (pre 1980), I would suggest buying a pinball price guide from GameRoom Magazine. 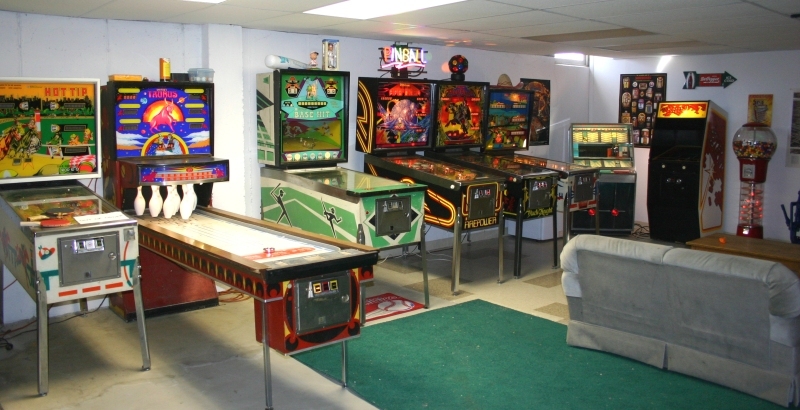 To sell your machine (any vintage), I suggest listing it on the free Mr. Pinball Classifieds or Gameroom Classifieds. There are numerous listings for machines form the 80s up to current Stern releases, so to determine what your machine is worth just do a search of the current for sale machines. If your machine isn't working, subtract at least $250 dollars from the price of a working machine. Remember, the condition of the playfield and back glass are the main factors in determining how much your machine is worth. Own a Williams System 3 through 7 game? Make sure you check out my repair guides! I've got photos and coverage of the major East Coast Pinball Shows from the past few years (Allentown, York and Wayne). Check out the show index. Mylar Removal. My method for removing Mylar from a pinball playfield. I've owned over 40 pinball games. I have pages on many of of machines, loaded with photos, facts and stories about each. Click here for my game index. November 11, 2010 - I'm still here! Thanks for all the support and emails this past year. While I may not be updating the site on a regular basis, I'm still available if you have a question regarding your System 3, 4, 6 or 7 Williams game. Just email me! March 21, 2009 - I want to take this opportunity to thank all of you who have sent me emails letting me know how much you appreciate the site and the repair guides. It's nice to know that all of the work that went into them was worthwhile. If you have a specific question and email me, please be patient as I do read all of the requests and respond, but it may take a week or so. My area of expertise is Williams Solid State games in the System 3 to System 7 range. If you have questions about other manufacturers or Williams games from other eras I probably won't be of much help. I just finished "rebuilding" the game room area after numerous water issues (some due to nature, some due to leaking appliances! You can see some of the water stains on the floor in the photos below). The remaining games in my collection include Firepower (the drop target retrofit gamed), Black Knight, Grand Prix and Hot Tip. I also have a Base Hit pitch and Bat, a Tarus shuffle bowler, an Atari Super Breakout and a 1958 Seeburg 161 jukebox. February 27, 2007 - Some fun site facts: The most visited page (other than this page) is the System 6 Repair page. Since they've been up, there have been over 90,000 hits on the repair pages. Trailing way back in second place is the Mylar Removal page with about 18,000 hits. The most viewed game page (this caught me by surprise), Disco Fever! (17,800 hits), trailed closely by Black Knight with 17,600 hits and Firepower with 13,000 hits. The game with the least amount of hits, Stern's Big Game with 3,500 hits. February 11, 2007 - I have to confess that I've been just about completely out of the hobby for the past couple of years. I still own my Black Knight, Fire Power, Hot Tip and Tarus Shuffle Alley, but the rest of the games have been sold off. I attribute this to pinball burn out. I lived and breathed pinball for about 5 years, buying, selling and reparing games. It finally got to the point where I didn't want to see another pinball machine! That being said, I still get between 10 and 20 emails a week with pinball questions. I try to answer all of them, especially the Williams related questions. Keep them coming! If I can help out, I'll try. So what do I do know that I'm not living pinball 24/7? I have two teenaged daughters, so we've traded most of the pinball machines in on two quarter horse geldings. This update was actually prompted by a movie I watched the other night. One question I get a lot from younger pinball fans (anybody under 40 is "young" in my book!) is "what were arcades like "back in the day"?" If you're curious, check out the movie Dazed and Confused. Its set in 1976 and chronicles the last day of school for a group of Texas high schoolers. 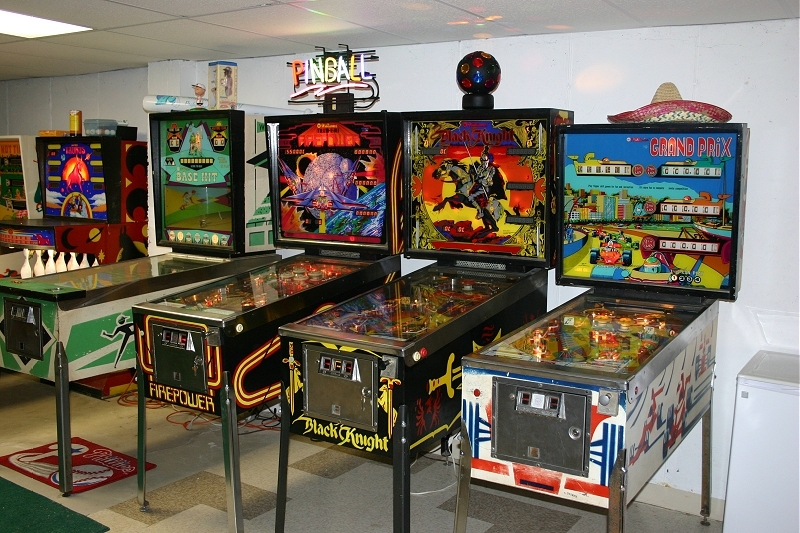 One of the main locations is an arcade, with a Bally Fireball having a leading role. Lots of close ups of zipper flippers! The movie is currently playing on Encore and the Indie channel on cable (February of 2007), and if you have Comcast digital cable, its on OnDemand. I highly recommend the movie, having graduated high school in 1975, I can tell you that the movie captures that time period perfectly. I have a new page up that I'm documenting the games in the movie! Check out the "Emporium" in Dazed and Confused here! September 5, 2005 - Not too many updates over the past year. I've sold off a good deal of the collection. At Christmas 2004, I sold Flash , Disco Fever and Time Warp. I sold High Speed (that was sad to let go!) over the summer. The collection was getting too large to maintain and it was turning into a business rather than a hobby. So I've "thinned the heard" down to about 8 working machines to keep it fun. I still have Scorpion, Time Fantasy and Blackout to get fully working, and I'm looking forward to working on them over the winter. October 11, 2004 - Well, I had planned to make it a weekend at the York show, I was even planning on bringing my Flash, Timewarp and Disco Fever. However a series of last minute commitments ruled the show out this year. If you took photos at the show and don't plan to post them on your own web site, I'd love to get copies so I can update my show pages with some photos from this year. Just drop me an email. Thanks in advance! September 8, 2004 - The York Show (officially title the White Rose Gameroom show) is coming up shortly. It will be Friday October 8th and Saturday October 9th this year. Details are available at their web site. For photos of past shows, check out my show index. September 1, 2004 - I've sold the Williams Fantastic, so no more photo requests please! In its place I picked up a Williams "Base Hit" pitch and bat. August 30, 2004 - Its been a busy summer! Updates have been few and far between, but I plan on doing some major work on the site soon. PHOTO REQUESTS - While I'd love to help out, I get a large number of requests for specific machine photos every week, mostly from the pinMame crowd. Unless you're publishing a book, I can't provide you with photos other than what is on the web site. If you're in the South Jersey area, you're welcome to stop by and take all the shots you want yourself. June 25, 2004 - Ok, so its a bit off-topic, but we've setup a web site for our horse. May 18, 2004 - They're finally up! Click here for the 2004 Allentown Pinball Wizards Convention photos and review. 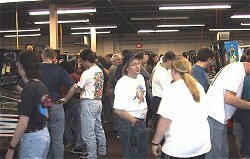 May 1, 2004 - I just got back from the 2004 Allentown Pinball Wizards Convention. I went out on Friday evening, arriving around 4:30 and played pinball most of the evening. We stay through Saturday and browsed through the flea market in the morning before heading back at noon. I have about 50 photos on the camera which I'll be working on getting up onto the site during the week. Check back later in the week for the photos! The show itself was again very good, and I'll have a full review up shortly. Congratulations to Smarty Jones on his Kentucky Derby victory today! We have several connections to the Derby Winner. Our horse, Special Dreams, was bred and originally trained and owned by Robert Camac, the trainer who bred Smarty Jones and then died before he was born. 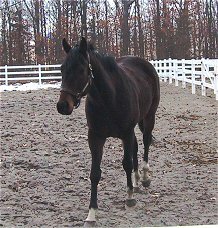 Smarty Jone's jockey, Stewart Elliot, rode our horse to a second place finish back in November 2002, and then watched his rear end for 5 1/2 furlongs as his horse finished second to Special Dreams in his last race at Philadelphia Park in January of 2003. 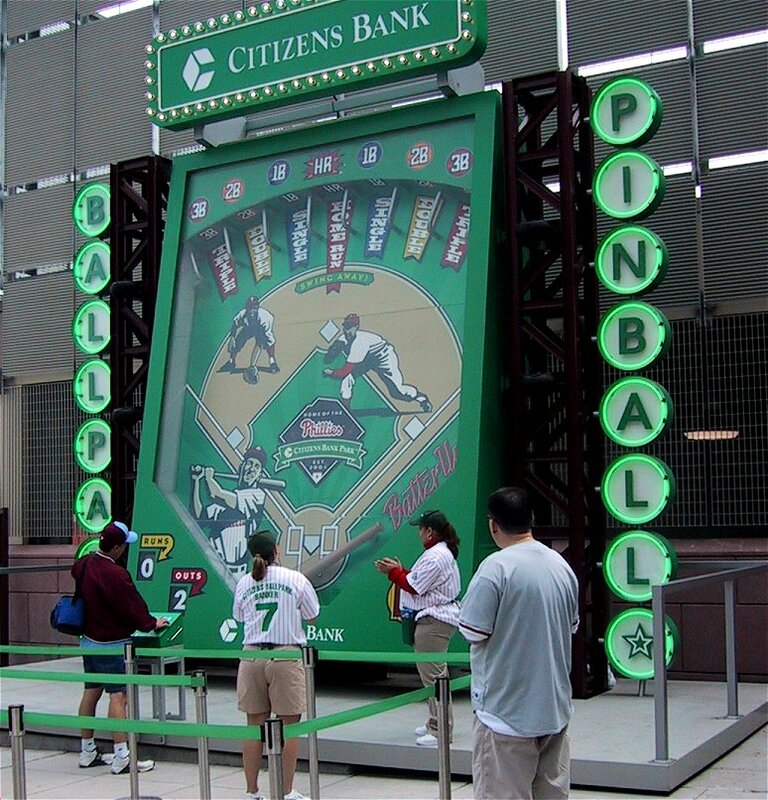 April 22, 2004 - Is it pinball, or is it the world's largest pitch and bat? 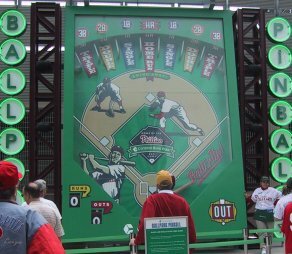 Yours truly is at the controls of what the Phillies have labeled as a "pinball" machine, however astute readers of this page will notice that this is actually a pachinko style pitch and bat, and not a pinball machine. Bottom line though is that its a fun game to play. The "ball" is about the size of a basketball, and its not that easy to score on the thing. They give you three outs, and all I managed was a single. Click here for a larger photo of "Ballpark Pinball". April 19, 2004 - What's with the ads? The proceeds from board repairs and ROM sales use to pay the bandwidth costs for the site. I've gotten out of the board repair business to spend more time on my own collection and there are a lot of players in ROM burning these days which has caused my ROM burning services to drop off considerably. With virtually no pinball income to support the site, I've decided to experiment with the Google ad system. They claim only pinball related ads will appear (although computer repair ads seem to show up on the MPU repair page!) Hopefully enough of you will click through to off-set the bandwidth costs. This site receives a few cents for each ad you click on, so thanks in advance for checking out the advertisers. April 7, 2004 - Just a reminder for those living in the Northeast that the Allentown Pinball Wizards Convention is coming up in a few weeks. This year's dates are Friday, April 30th, Saturday May 1st and Sunday May 2nd. The outdoor flea market is on Saturday the 1st, and is the biggest on the east coast. You can find details at their website. I'll be there Friday evening and at the Flea market on Saturday morning. I've found that if you actually want to play pinball, then you want to be at the show on Friday afternoon at 4pm when the it opens. The crowds on Saturday make the hall an almost unbearable place to be. The aisles are jammed and the wait is 4 or 5 deep for machines. And with all of those folks jammed in the heat gets notched up a few, and the place doesn't smell like a flower vase. Friday afternoon on the other hand is mostly made up of vendors and die-hard players. The best time is between 4 and 6, you usually have your choice of machine. I think this year however it will be a lot more crowded on Friday, since the word has gotten out on the newsgroup and various sites (like this one!) that Friday is the day to be there. If you go to play Friday evening, make sure you stick around for the flea market on Saturday morning. Its the best on the east coast, and with the lack of auctions this year, I expect that it will be busier than ever! The best stuff goes early, so plan on getting there no later than 7am if your serious about buying. 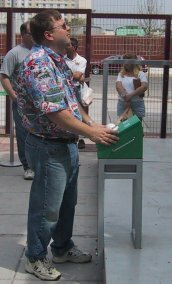 April 5, 2004 - Opening Day! What a great day, everybody's in first place for a few hours! 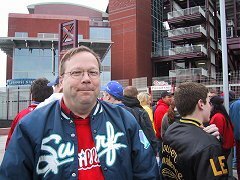 My wife and I are big baseball phans, both of the Phillies and our local Independent League team, the Atlantic City Surf. We did our annual trek down to Clearwater a few weeks ago and took in several Phillies games, ate much more then we should have at Lenny's, spent a day at the races at Tampa Bay Downs and even took in a Yankees game at Legends field (I have to admit it, it was cool being 20 feet away from Arod & Jeeter). While we weren't able to score any opening day tickets, we did get tickets for the April 3 "unofficial" opening day exhibition game versus the Indians. Jim Thome sure made it his "house" when he it a home run off a 2-1 count on his first at-bat! 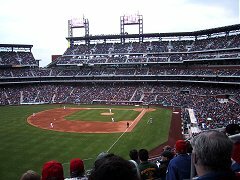 For those outside of the Philadelphia area, the Phillies are moving into their new home this year. 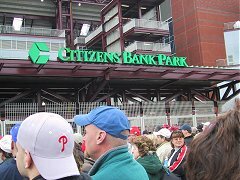 A New England based bank, Citizen's Bank, for some unknown reason spent $85 million for the naming rights to the stadium. (note to Red Sox fans, do you want to keep your money in a bank that spent $85M on the Phillies <g>!) 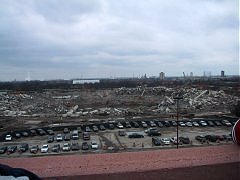 The Phillies played at Veterans Stadium from 1971 through 2003, while a good idea in 1971 (anybody remember Connie Mack stadium? ), it didn't hold up well and was blown to bits a few weeks ago. The new park is baseball only, with real grass (grown here in Hammonton!) and is a great place to take in a game. (note - click on the photos for a larger version). We arrived about 30 minutes before the gates opened and were about 15th back in line. 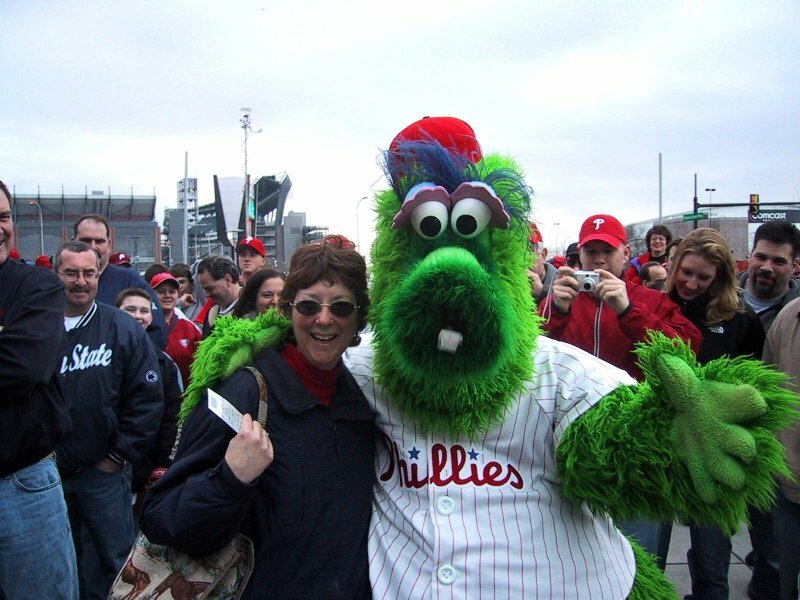 While we were waiting in line, the Phanatic started making his way through the crowd. He was posing for photos with folks in line and when he got near us, my wife asked if she could have her photo taken with him. The Phanatic decided to have a bit of fun with her and started asking for a little "palm grease" to have his photo taken. It took a second, but Anne finally figured out what he was doing, and this photo is her say "oh, you want to be paid!". The crowd around us got a good chuckle over their antics. She must have been pretty convincing, as we got the posed shot! Our seats were in section 237, which is the last section on the second level. We walked the entire park, and I don't think there is a bad seat in the house! The only part of the park I think they could have done better at would have been to make the concourse in the outfield (near Ashburn Alley) wider. All of the specialty food concessions are out there (Geno's steaks, Bull's BBQ), as well as the monument area and Bullpens, and it was quite a traffic jam trying to get through. They've tried to pack so much stuff in that I think during the construction process the concourse just kept getting narrower as new items were added. But, that's a minor problem, and there were 42,000 people exploring the stadium, so hopefully during the season with an average crowd it will be easier to get around. All in all, the Phillies Management did a great job on the Park. Thanks! February 23, 2004 - Wow, its been almost a year since I've tackled a full restoration project. The drought is over, I started work this past weekend on the restoration of my Time Fantasy (Williams, 1984). Time Fantasy was an extremely low production machine (608 units) made during the arcade recession of the early 80s. I found a NOS playfield on the Mr. Pinball classifieds last month, it pays to read those emails every day! This will be my first full playfield swap, so I'm documenting every step. Check back over the next few weeks to check on the progress! January 2, 2004 - Time for the Year in Review Again! 2003 was a "slow" year for me as far as coin-op was concerned. We adopted an off-track thoroughbred race horse in late spring and I sold off a number of machines to finance the clearing of land and the building of a paddock in the back yard to accommodate our newest critter. While we hired a professional to do the clearing, we built the fence and his run-in shed ourselves, so that process consumed most all non-working time I had available. A NIB Stern arrives, a NIB Stern leaves.... I purchased a NIB (new in box) Stern Lord of the Rings in December. Another "sight unseen" purchase, but the early buzz was great on this machine, and it has a theme that everybody in the family could agree on. I won't bore you with a review here, but we've had the machine almost a month, and its still a blast to play. I wish I could say the same amount of good things about Roller Coaster Tycoon (RCT), my last Stern NIB purchase. After buying a NIB Monopoly in October of 2001, I had high hopes for RCT. It was the second Pat Lawlor (of TZ and Addams Family fame) game for Stern, and I figured it had to be a great game. What a classic theme for a pinball game, Roller Coasters. Williams had the trio of coaster games, Comet, Cyclone and Hurricane, and Pat stated that he wanted to make this game the next in the series. He even was including the "dunk the dummy" shot made famous in Comet. The game was licensed from the computer game, where you need to "build" your park. What a perfect theme for a pinball game, make the shots and "build" the park. The game arrives! Its beautiful! Those ramps are so cool! Hold on, what's the deal with this troll? Yeah, they were cute in their day, but the voice tracks on the game, I had a headache after three plays. And what was the deal with the "scrambled eggs", the lamest effect every put on a playfield. After less than 200 plays, I sold them game. Pat, I hope you learned that you need more than your name to make a game great. Knock-knock - do you sell pinball machines? I could have listed my Dr. Who and Road Kings for 6 months on Mr. Pinball before I got the price I wanted. I had a knock on the door one evening and the stranger at the door said he heard I sold pinball machines. I told him I collect machines and occasionally sell them, but he was welcome to take a look and see if he liked anything. He did, and I delivered the two machines the next day. I wish all my sales were that easy! Say goodbye to Pharaoh, Space Shuttle, Roller Coaster Tycoon, Dr. Who and Road Kings. Say hello to Time Fantasy, Fantastic, Lord of the Rings and Scorpion. Maybe this year I'll finally finish by Blackout? December 11, 2003 - Lord of the Rings arrival and unpacking pictures are up! Click here for the photos. This is my third NIB (new in box) pinball purchase, the previous two being Monopoly (October 2001) and Roller Coaster Tycoon (August 2002). I sold RCT back in early October (I couldn't take the troll's voice one more time screaming "Hit me!") and a surprise sale of my Dr. Who and Road Kings left a void in the game room that needed to be filled. After an unsuccessful search for a Theatre of Magic locally I decided to take the plunge and ordered a LOTR. Time will tell how well the game holds up, but the game seems a winner! The theme is fantastic, the shots are great, the playfield is just packed with cool stuff, but still open enough to have some great game play. December 10, 2003 - The Lord of the Rings has arrived! You would think the arrival of such a mystical themed game would be heralded by more than just a call from your daughter stating "hey, your pinball machine is here, they dropped it off by the garage". 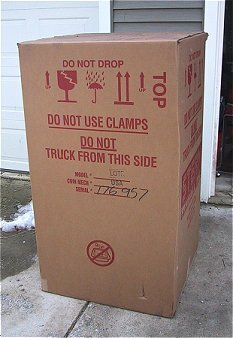 The arrival of my other two NIB machines (Monopoly, RCT) were mini-events in themselves, with the big 18 wheeler pulling up in front of the house, my backing up the pickup to the lift gate and the machine being almost ceremoniously lowered into my truck. Not this time, I headed home (rain was in the forecast), and muscled the machine into the garage, stopping to take an official "arrival" photo. Alas, it will sit in the garage for at least another day until I can get it down into the basement. The entrance to the basement happens to be currently blocked by a Haunted House (in pieces, including an extra playfield!) and my recently obtained Scorpion. With the holidays, we have events to attend almost every evening, and I have a horse shed to complete over the weekend, so I'm hoping to get the game down sooner than later! December 1, 2003 - I finally found a Scorpion! I've been looking for one for about two years and have had no luck locating one. I had one lead on a project in Boston that never panned out and I missed an auction that had one in the junk pile. I had let everybody in the area know that I was looking for one and a lead finally showed up (thanks Ron!) which lead me to a machine about 30 minutes away in Blackwood. According to the seller on the phone, it worked "perfectly", having been "professionally" maintained since he owned it. What I found was a machine that did indeed work, albeit with a serious switch matrix problem. The diagnostic switches were missing, so it was impossible to see how the bad the problem was. However, the playfield was in decent shape, the backglass was acceptable and the cabinet was in decent shape, so I agreed to the seller's price (he wasn't budging), and I finally have my Scorpion! If you're not familiar with Scorpion, it was the last of the early Solid State wide bodies that Williams produced. It was released in early 1980, just after Firepower, however it feels "older" than Firepower. The early Williams wide bodies were not the most exciting games ever produced (think Pokerino! ), but Scorpion was probably the best of the breed. 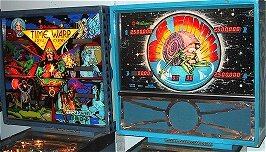 It featured two ball multi-ball, a timer feature and had an upper set of flippers that formed a "mini" playfield within the main playfield. I'll be doing a full restoration on this machine in the near future, so stay tuned! 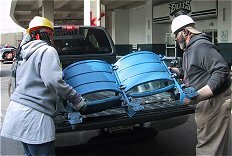 November 11, 2003 - Not pinball related, but collectible related, I picked up my Veterans Stadium seats today! For those not from the Philadelphia area, this was the last year that the Phillies played at Veterans Stadium. 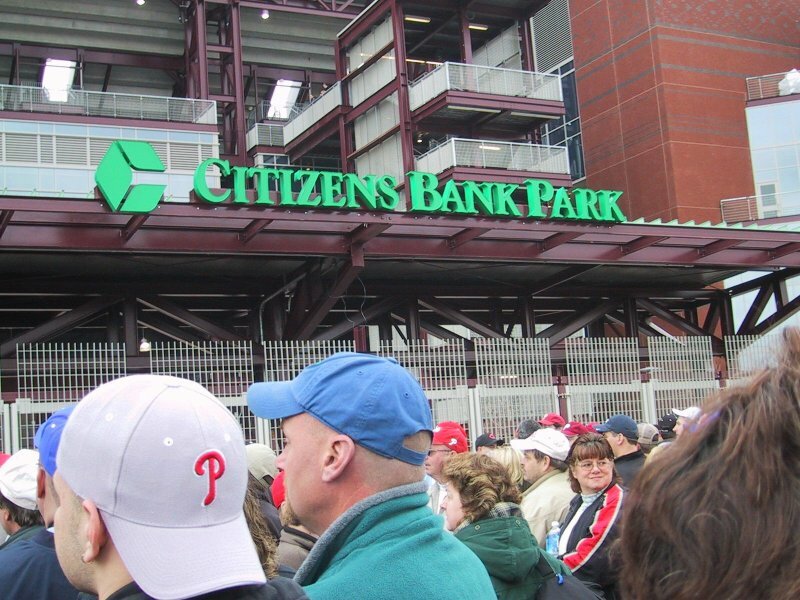 They move across the street into Citizens Bank Park for the 2004 season. 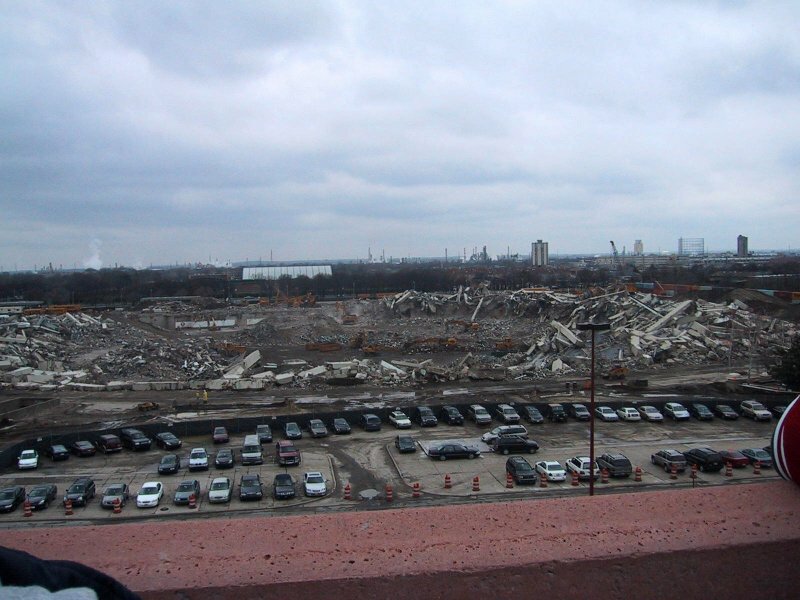 The Eagles moved out last year into their new stadium. 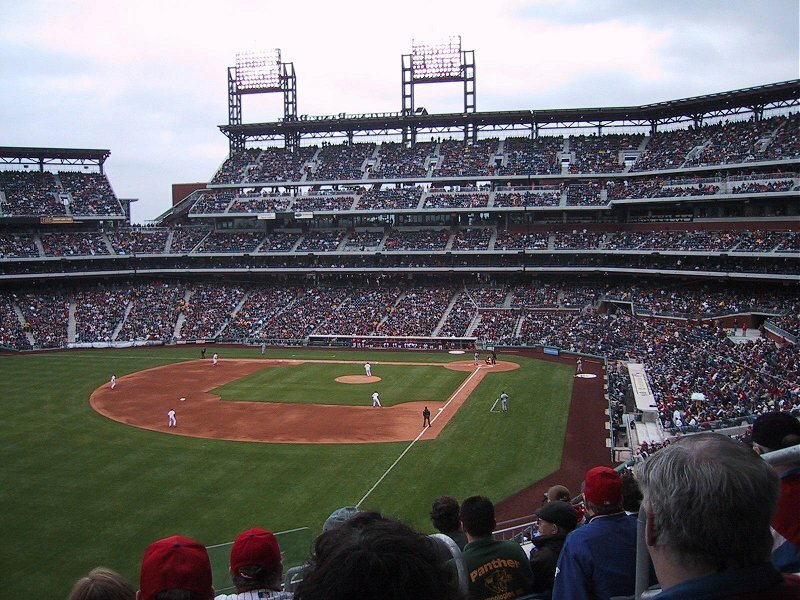 The "Vet" opened in 1971, replacing the aged Connie Mack stadium (formerly Shibe Park) for baseball and the Eagles moved in from Franklin Field (University of PA's stadium). 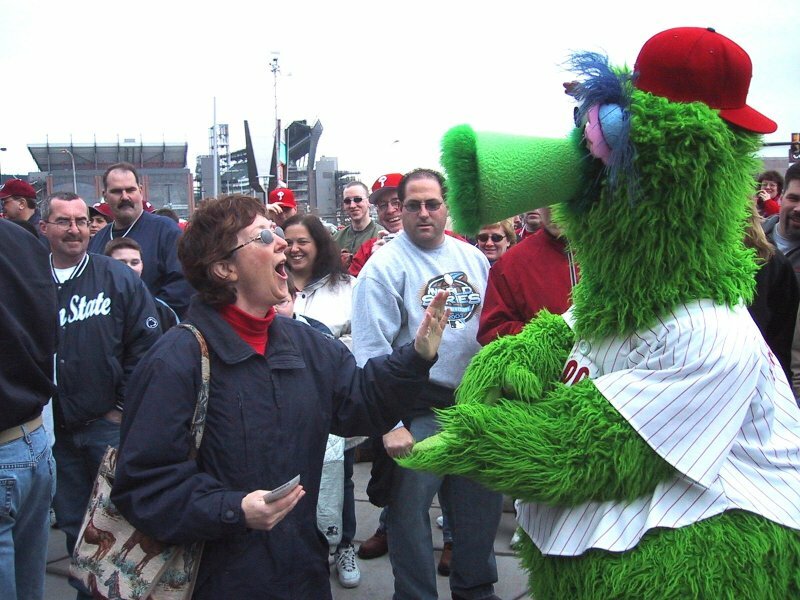 While the Vet was held in disdain by most visiting teams and by a younger generation of Philadelphians, it was a vast improvement from the creaky Connie Mack and the wooden bleachers of Franklin Field. I attended my first Vet game in June of 1971, a surprise 8th grade graduation present from my dad, and had the honor of attending one of '83 World Series games against the Orioles. November 5, 2003 - The York show review and pictures are up! Click here for my show review. Capsule review, show was good, but nothing like the past few years. Only 63 machines running at noon, maybe 50 at 2pm. I did make an impulse buy and bought the 1972 Williams EM "Fan-tas-tic". Its a fun and kind of quirky machine, but I found myself playing it more than any other machine at the show, so that was my sign to take it home. Pics will be up soon. October 30, 2003 - There are new releases of the Williams System 6 and System 7 test chips. The new images are available by clicking here. The memory test now shows its results on the LEDs, no more clipping a LED to pin 15 of the MPU! Part 4 of the Repair docs have been updated with the new test. If you purchased a test ROM from me in the past, I will upgrade your chip free of charge, I just ask that you include $2 to cover the return mailing. If you don't have my address, send me an email. October 22, 2003 - I've sold a few machines this past week. Roller Coaster Tycoon, Dr. Who, and Road Kings have all gone onto new homes. September 5, 2003 - If you're new to the web site, enjoy browsing around! For those who regularly visit the site for updates (and there haven't been many lately), I just want to bring you all up to date on what's going on. We acquired (adopted would be a better word), a 3 year old thoroughbred race horse over the summer. His racing days are over due to an injury to one of his knees which he suffered at his last race on January 14th at Philadelphia Park (he won, paying $6.40). Not being horse people, its been an interesting summer learning what to do with this 4 legged "hayburner" in the back yard. For those who follow racing, he comes from a great line, his father is Stormy Atlantic and he has Seattle Slew, Secretariat and Native Dancer in his blood line. This has put a large crimp in my hobby time, so the pinball machines have taken a back seat for awhile. I have a series of projects lined up for the winter, including finishing my Blackout and Grand Prix and starting on the Haunted House project, so check back for updates. April 21, 2003 - In addition to moving the web site last month to a new host, I've been involved in physically moving my company's office location. This has left me absolutely no time for pinball (although we did move Monopoly into the new office!) or web site updates. I am also not able to accept any board repairs via mail at this point either. February 3, 2003 - Time for another road trip. I needed to drop someone off at the airport at 5am, so this trip got an early start. I made it to Harrisburg, PA by 7:30 in the morning to pick up a Williams Time Fantasy, a System 7 game that has to be seen to be believed! January 7, 2003 - A new year and time to edit the page down. I've moved a bunch of the previous updates to the "best of" from last year, including all of the show pages. - Getting my Black Knight back. Thanks Tony! - Buying a NIB Roller Coaster Tycoon. - Publishing my System 3 to 7 Repair Guide and working with Clay on his. Biggest disappointment of the year, not doing any work on my Blackout restoration project since March! I did buy a new playfield for it this year, so maybe 2003 will be the year. December 17, 2002 - Time for a "mini" road trip! I've been getting my machines locally lately, so I haven't done a road trip in quite a few months now. I actually bid on a machine on Ebay (something I haven't done in over 2 years), and was the only bidder on a Williams Laser Ball. The machine was located west of Baltimore, so I took the morning off and did a 5 hour round trip to pick it up (and made it back to the office in time for a 1/2 day's worth of work!). What's interesting about this machine is it has been HUO (home use only) since 1982 and the person I bought it from got it at a charity auction in 1992. When the current owner brought the machine home, it didn't work, so he left it in the corner for the past 10 years! Watch for photos soon. November 29, 2002 - More machine moves, and both to/from their original owners, go figure.. I sold my Captain Fantastic back to Jimmy K., who I originally bought it from about 18 months ago. And today I bought my Black Knight back from Tony P. who I had traded with about a year ago. Back together again! My Black Knight rejoins Firepower and the rest of Williams line-up after almost a years absence. Yes, its the same machine I traded near the end of 2001 for a TZ. While the TZ was an excellent game, I missed my BK after only a couple of days. November 12, 2002 - Picked up four new machines this past week, a Williams World Cup (1978), Bally Xenon (1980), Williams Pharaoh (1981) and a Gottlieb Haunted House (1982). Say goodbye to my Data East Phantom of the Opera, it went as my half of a trade for the Xenon and HH. November 1, 2002 - I'm working on some major updates of the System 3-7 resources page. Most notably I'm combining the Bench Testing page with the Troubleshooting guides. Section 4, MPU Board Troubleshooting is up in beta format now. Once completed, I'll be taking the Bench Testing page off-line. 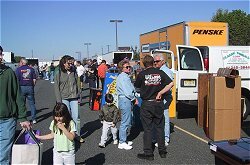 September 14, 2002 - I attended the Classic Pinball Show in Wayne, NJ today. Forgot the camera, so no photos. I'll make sure I don't forget it for the York show next month! Picked up this cool neon "PINBALL" sign for the game room. Update 12/2/03 - I've had a lot of emails regarding this sign over the past year. You can buy one from: Neon Specialists, LLC in Hamden, CT, phone 203-230-8300. - Mark's Guide to Williams System 3 through 7 Pinball Repair. One of the best (if I don't say so myself!) guides on the net to troubleshooting and repair classic Williams Solid State games. - The infamous Blackout restoration! The slowest project I've ever taken on. - Mylar Removal. My method for removing Mylar from a pinball playfield. - New in 2002: Hot Tip, Lucky Seven, World Cup, Contact, Disco Fever, Laserball, Grand Prix, Stellar Wars, Tri-Zone, Pharaoh, Haunted House and Roller Coaster Tycoon. Welcome back Black Knight! I've been collecting machines for a few years now, but my interest in Pinball dates back to the mid 1960's when I was first introduced to pinball. This is when games were 3 balls for a nickel or 5 balls for a dime! My collection currently consists of mostly Williams early Solid state machines. I played quite extensively in the late 70s and early 80s and was addicted to the Williams machines. Just like the old potato chip ads, you can't just have one, and the collection has steadily grown over the past years. At last count, I've owned 40 different machines (some are dupes), with the current count standing at 26, with 15 operational. My absolute favorite game of all time is Williams Firepower! If you were a player at the time of its introduction you know why... I currently own four of them and have restored and sold a fifth. I recently completed a drop target retro-fit on one. It was the second game I purchased for my collection and still the game I play more than any other by a 5 to 1 margin. I spent a good deal of time in 2002 writing my own Williams System 3 to 7 repair guide and working with Clay on his guide (the infamous "marvin" guides). My guide is a "living" document, and will be updated constantly as I find new repair tips as I work on my machines. I'm located in Hammonton New Jersey which is located about 1/2 way in between Philadelphia and Atlantic City. If you're ever in the area, drop me a line! 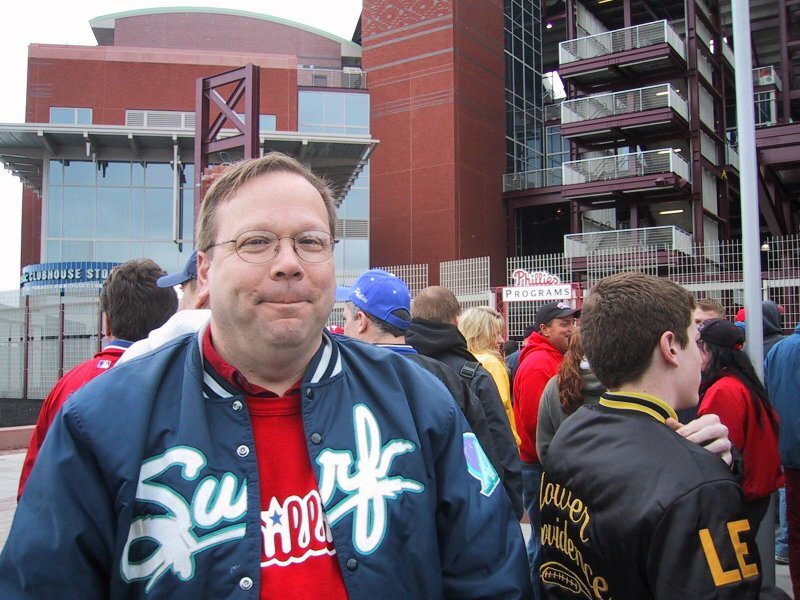 RIP Atlantic City Surf (1998-2008), We'll miss you! You are visitor number 1,116,635 since January 2001. Thanks for stopping by!